These days, every beer-related story seems to revolve around craft beer. People who want to appear cool, those who really and genuinely like good beer, and pretty much everyone else has switched from the boring old industrial beer produced in major corporate breweries to delicious golden hoppy craft beer instead. 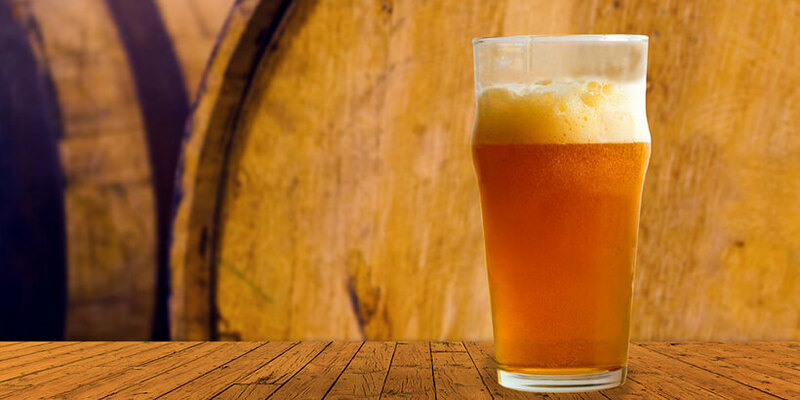 Microbreweries are sprouting across the world like mushrooms after rain and there is literally no major city anywhere in the world without at least a dozen excellent microbreweries making some very good to excellent craft beer. The United States have more microbreweries per capita than any other country in the world and the craft beer craze seems to have struck just about anyone, even those who generally don’t care for beer or prefer other beverages. You’ve probably heard people talking about beer culture. What exactly is beer culture and why is it a thing all of a sudden? Until recently, the only beverage that had a “culture” around it and was taken seriously was wine. Today, beer has (almost) the same status. Beer was once a college brat beverage of choice. For many sorts of industrial, mass-produced beer, this is still true. But there is a new player on the scene, craft beer. The crowd that is drawn to this phenomenon is knowledgeable, cultured, interested in finding out how beer is made and how you can make some on your own. People are getting informed, learning about different styles and their characteristics, attending craft beer expos and other events, and basically getting really passionate about it. 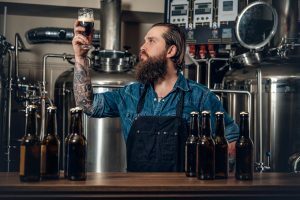 There are some who look down to this phenomenon as something fancy, posh, and hipster, but if you venture into any serious craft beer pub, beer garden or tap room, you will see that people in the culture are all but fake. Craft beer is basically artisanal beer. But what does it mean? It means there’s a small brewery, sometimes no bigger than someone’s basement, where people experiment with different recipes, hop and yeast varieties, different kinds of water and fermentation techniques, to come up with unique beers that are both innovative and delicious. Sometimes, a microbrewery will hit a jackpot with a recipe that turns out to be amazing and give exceptional results. It’s not unusual for such brews to gain something of a cult following around it. Those beers eventually become well-established and sometimes a larger brewery offers to buy off the recipe or even the entire brewery, complete with the recipes. Beers can roughly be divided into two categories: ales and lagers. Ales are top-fermented and lagers are bottom-fermented. Typically, an ale is more hoppy, cloudy, and with a complex flavor coming from different hop varieties used while lager is lighter and crisper. Now, some 99% of craft beers you can get in America are ales. But bear in mind that there are many, many, many different types of ales available. You’ve probably heard of IPA, which stands for India Pale Ale. This is the most popular beer style among craft beer fans, especially those who have just starting to explore the culture. There are also Pale Ales of various kinds, as well as APAs, or American Pale Ales. As the beer culture expands, so does the variety of beers that get massively produced in microbreweries all across the world. Some of the popular styles include Porters and Stouts, which are dark beers, Belgian abbey styles, sours and Lambics, red ales, and let’s not forget the many types of wheat beers (weissbier), which are also becoming increasingly popular. Special beers are also very popular, especially among casual beer lover crowds. In October and November, any self-respecting brewery will put out a pumpkin or herb and spice beer. There are also beers brewed with coffee, milk or chocolate. Generally, those ingredients are actively used in the brewing process and not added later as a flavoring. We mentioned earlier that ales are much more popular than lagers, but that’s not to say there are not some amazing breweries creating some extraordinary Helles, Pilsener, and American, Bohemian, and German-style lagers. Some brewers feel that lagers take more knowledge and dedication in order to get a satisfactory result, which is why most of them focus on ales. If you know absolutely nothing about craft beer, you’re probably wondering where to even start. The good news is that there are probably many craft beer pubs in your town or city. Tasting and trying out different beers is the only way to find out what you like. Many people who initially hated bitter, hoppy, and full-flavored beers actually grew to love them, as many of them, especially IPAs, are something of an acquired taste. Ales are richer and more flavorful, there are many different aromas and flavors in each of these beers and, who knows, you might even become a pretty good beer taster yourself! Just keep an open mind and try as many different styles as you can until you find the one that suits you the best. Another great way to learn about craft beer is to subscribe to one of the beer-of-the-month clubs. 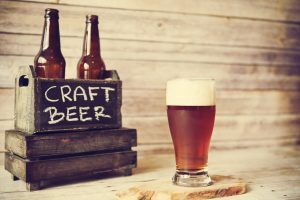 There are many of these on the market these days and they are actually quite convenient, as they offer different styles of premium craft beer, allowing you to discover just what it is that you love about beer. Trust us, once you go down this path, you will never be caught drinking a Miller Light again. For those of you who are worried that exploring the world of craft beer will be too harsh on your budget – don’t worry. Not all craft beers are expensive and we are sure your local liquor or grocery store has some fine bottles you can enjoy without having to spend too much money. Craft beer should be enjoyed, not binged, remember, and most of these beers don’t even go down as easily as “regular” beer, so you won’t be drinking as much as you normally would anyway. Now, go out there, explore the craft beer selection in your area, get to know your local microbrewers and, who knows, in a few months, you may even become a regular hop-head!